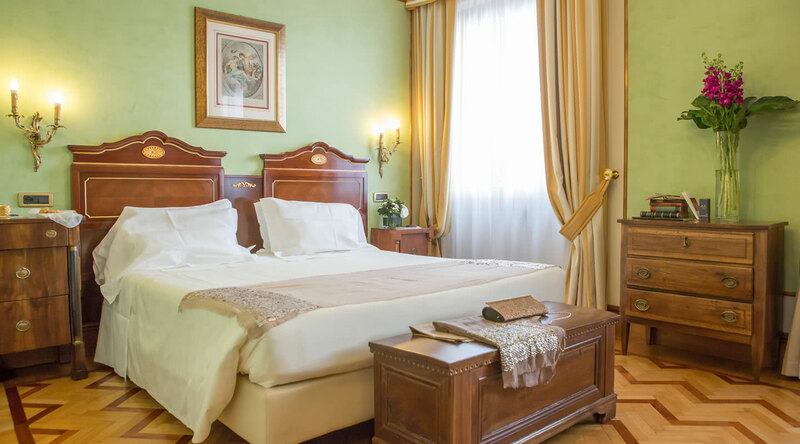 Deluxe rooms are filled with period furniture with walls covered with precious tapestries in vibrant colours, with golden frames. 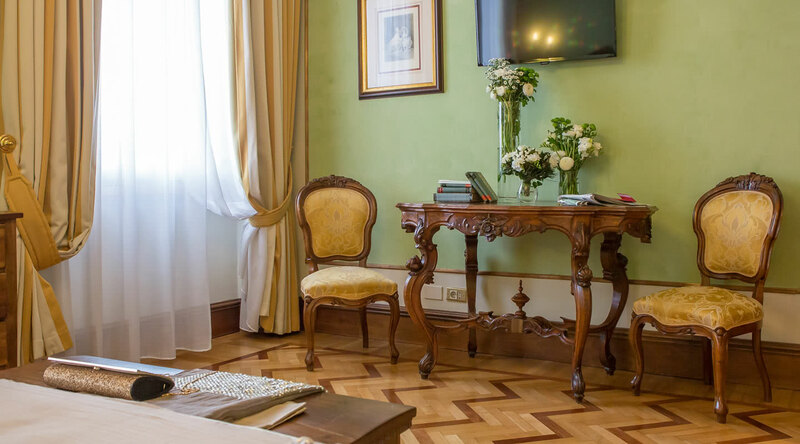 The flooring ranges from carpets that match the tapestries, creating a pleasant, harmonious chromatic effect, to hand-varnished parquet. 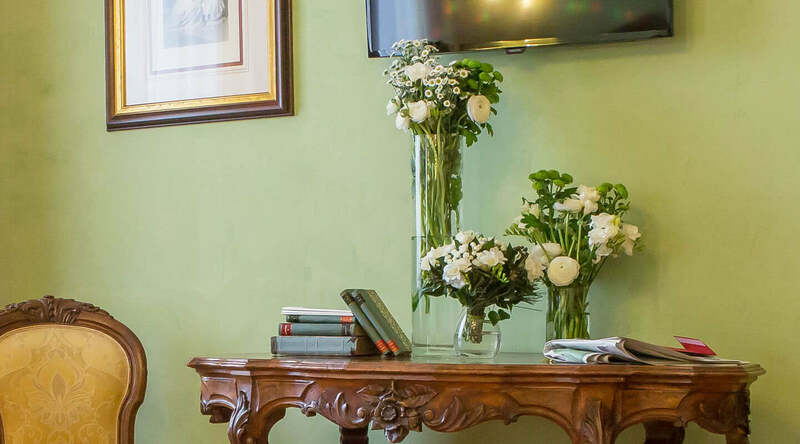 All deluxe rooms are personalised with extreme care and passion for details. 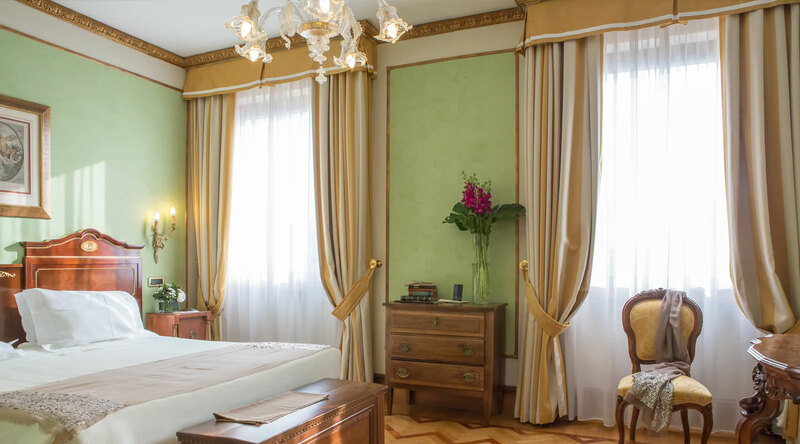 Entirely hand-crafted marble in warm tones, mosaic decorations, precious, refined textiles, finishes of rare prestige: details designed for the pleasure of the senses. 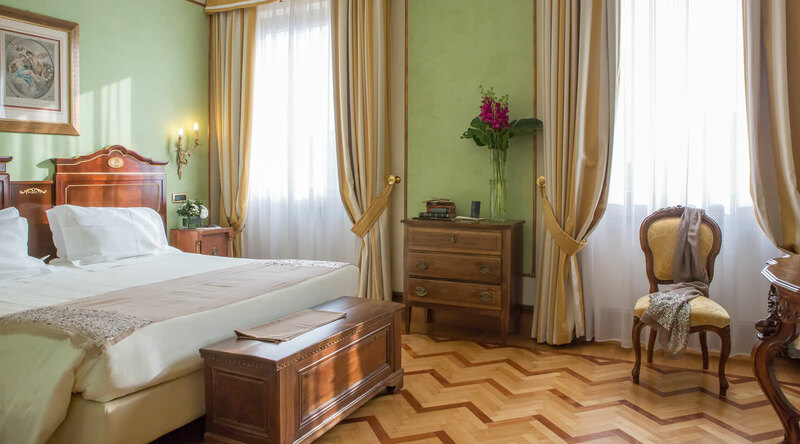 A journey through time and Italian traditions. 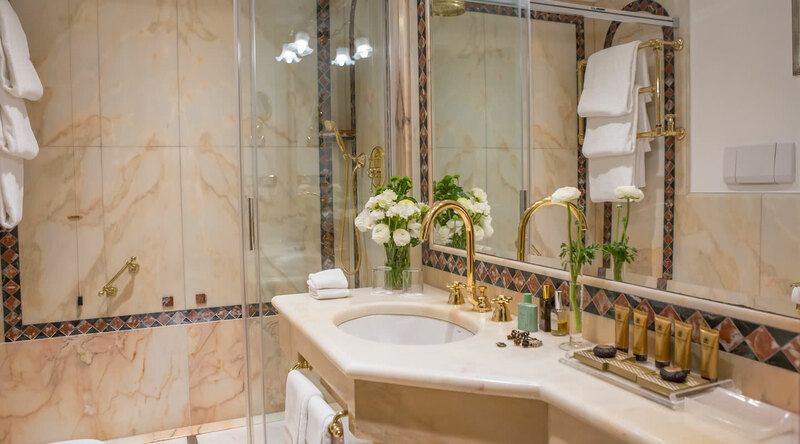 The pink marble bathrooms, embellished with the mosaic marble frame of the large mirror, are all fitted with a bathtub with shower. 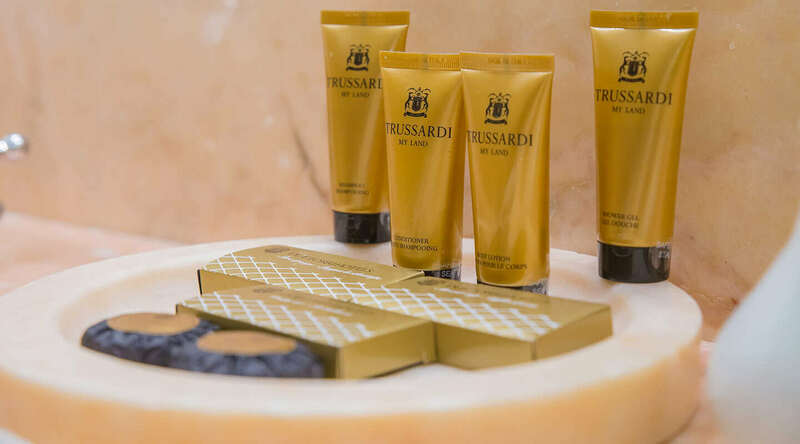 Bathroom Amenities "Trussardi My Land"